A decade after the Indian Ocean tsunami devastated Aceh, the isolated tip of Indonesia’s Sumatra Island on the morning of 24 December 2004, IRIN looks at the unprecedented aid response, its impact on the industry, and how local people continue to be affected. “The way the international community responded to the tsunami raised the bar on what was possible for humanitarians to do,” said Jan Egeland, then UN undersecretary-general for humanitarian affairs and emergency relief coordinator at the Office for the Coordination of Humanitarian Affairs (OCHA). Two days after 9.1 Richter scale earthquake 240km off of Indonesia’s coast triggered the tsunami, Egeland held a press conference in Geneva. “I was planning to be critical of the lack of contributions that year. It was a year of many disasters and very little money,” he told IRIN, pointing to floods in Bangladesh, and the ongoing crisis in Darfur, the humanitarian response for which had fallen US$140 million short that year. 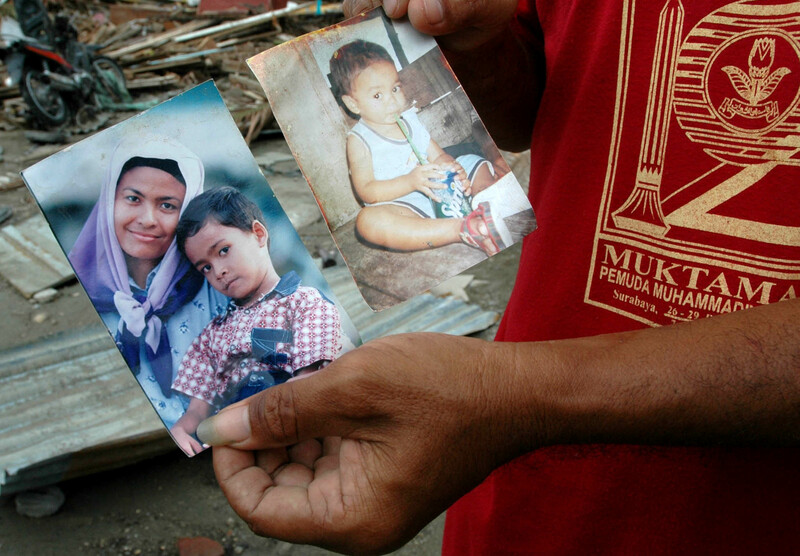 This is the first part of a five-part series looking back at the Indian Ocean tsunami. The human toll was staggering: 167,000 Acehnese were confirmed killed, with tens of thousands more missing - one in four citizens of the province vanished. Aceh had been the scene of a nearly 30-year conflict between the Free Aceh Movement (GAM) and the Indonesian military (TNI). Lifting a harsh military emergency law, Jakarta opened the province to international agencies within days of the disaster. By March 2005, it was clear that the scale of operations in Aceh required special coordination. Indonesia’s president appointed a charismatic and capable former minister to run the Agency for the Rehabilitation and Reconstruction of Aceh and Nias (known by its Indonesian acronym, BRR). That leader, Kuntoro Mangkusubroto, immediately disagreed with President Susilo Bambang Yudhoyono’s vision for the agency, and demanded greater flexibility. The reconstruction process experienced a range of complications. The magnitude of the response attracted attention to anti-corruption measures amid concerns that aid agencies, many of them flush with cash, were projecting dishonest portrayals of the needs on the ground as part of continuing fundraising efforts. The Indonesian government, which led the relief effort, carried out more than 5,000 of its own reconstruction projects while coordinating more than 12,500 other projects involving more than 60 bilateral donors and multilateral agencies, as well as roughly 700 NGOs. According to The Asia Foundation, coordination issues plagued nearly every sector of the response. Nevertheless, Kuntoro’s diligence paid off. 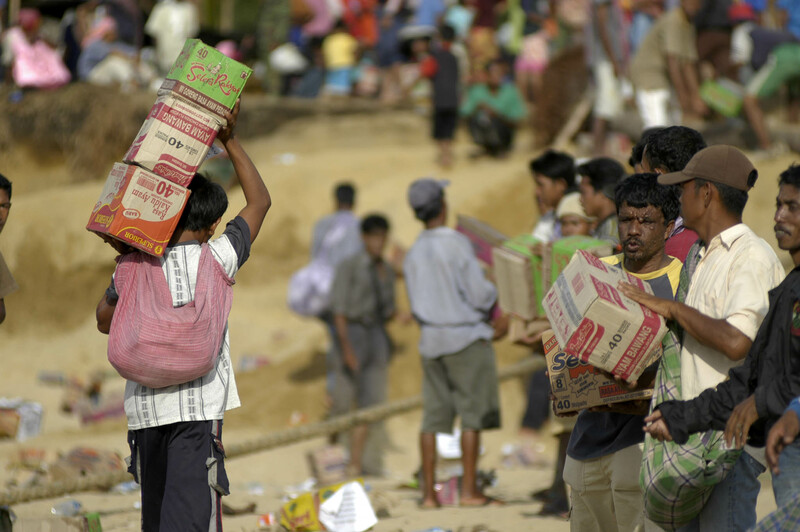 A 2008 analysis by the Washington-based Brookings Institution noted that, in Aceh, aid money was being distributed to agencies and projects more quickly and efficiently than in many other natural disasters. “Build Back Better” became the iconographic phrase associated with the recovery effort, gesturing at the local and international vision that there was immense potential to improve Aceh. In addition to pushing innovation, the tsunami response forced contemplation among humanitarians. The sheer amount of funding and the pressure to implement interventions in stride with the aid also meant humanitarians were faced with challenges on a scale the industry had never seen before. In some cases, logistical challenges demanded new measures, and the high level of funding allowed it: Oxfam leased cargo helicopters for the first time to deliver aid. In another example, over $1 million per month was being disbursed at some points through cash transfers to tens of thousands of disaster victims. “There had never been that much money,” said Moira Reddick, who coordinated the emergency response for the British Red Cross. The UK’s Disasters Emergency Committee, which raises crisis funds for 13 agencies including the British Red Cross, had launched a tsunami appeal on 29 December that ended up raising a record £392 million. Reddick said staff argued internally that the agencies should go back to the public and ask if some of the money could be shifted to Darfur. The answer from agency leadership was no. “The artificiality of it all drove us even further along mission creep into recovery. Suddenly organizations that specialize in saving lives were building houses, because there is no other way to spend money on that scale,” she said. Many well-known humanitarian practices today were sparked, or brought to scale, in the tsunami response. “A lot of the questions we were grappling with at a conceptual level in Aceh are now clear policy and protocol,” Singhal said, offering cash transfers as an example. “Cash transfers in emergency response were relatively new, especially at that scale, during the tsunami response,” explained Singhal. “Today we have CaLP and an entire sector dedicate to understanding how cash can and should and does work,” he said, referring to the Cash Learning Partnership, a consortium that “originated from the will to gather lessons learnt from the emergency response to the Indian Ocean Tsunami in 2005” led by Oxfam, the British Red Cross, Save the Children, the Norwegian Refugee Council and Action Against Hunger. That transition has been fraught: Provincial politics have struggled to stabilize, despite peace. Aceh’s human development indicators are lagging, and in some cases even dropping. Saiful Mahdi, who runs the International Centre for Aceh and Indian Ocean Studies (ICAIOS), a research institute in Banda Aceh, said the emergency phase brought visible changes to Aceh quickly, but that physical devastation captured most of the energy (and funds) in recovery efforts and mature governance has been slow to develop. “Because of the martial law and the TNI-GAM relationship, distrust was rampant and authority in post-disaster and post-conflict Aceh has been quite performative,” he said, pointing to tussles over whether the GAM flag can be flown at government buildings, and bursts of Sharia (Islamic law) policing in recent years.